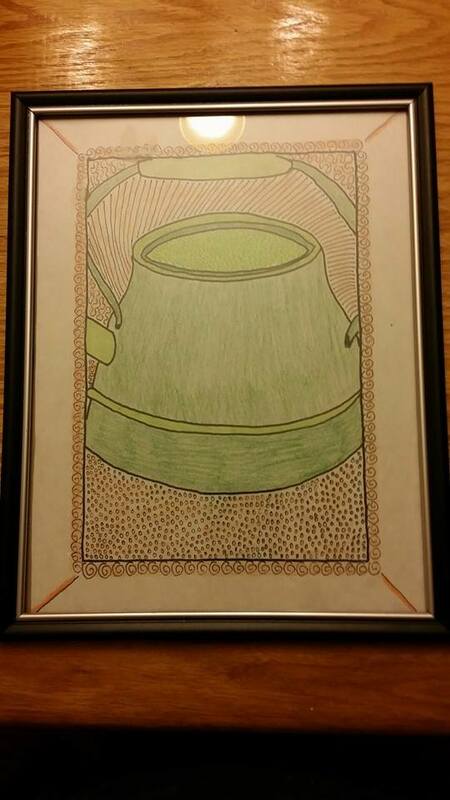 I drew these teapots several years ago in college. I had them in a sketchbook and decided to finally put some color to them. I decided on watercolor pencils. I have always enjoyed doing the cross-hatching technique so I did that with the pencils. I have yet to put water to the color but will do that soon. I was anxious to hang them up and put some décor in my kitchen. I have plenty of room to add more which there are a few more drawn in my sketchbook. I would like to find some teapot pieces to add dimension to the space. 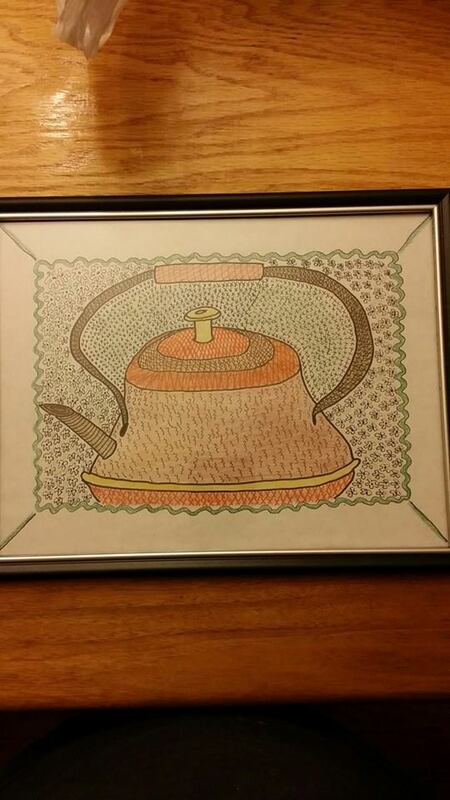 I picture copper ones that are half a teapot. I know I have seen those somewhere. Eventually, I plan on painting the kitchen a different shade of yellow. It needs touched up. The house is only five years old but I believe several families lived here in those years so it is in need of repainting. 🙂 All in time. Have a great day! The sun is shining here and a wonderful 49 degrees. Crazy for January. 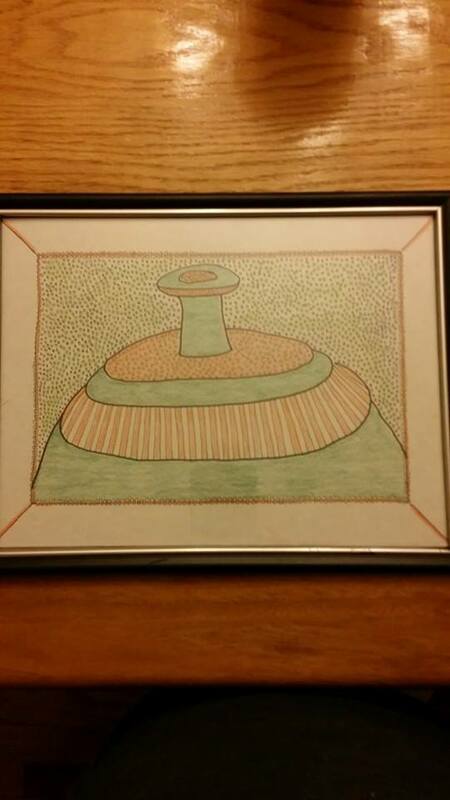 This entry was posted in Art Projects and tagged art, blog, decorations, design, drawing, frames, kitchen, marker, paint, sketch, watercolor, Writing. Bookmark the permalink. So pretty. You are talented, Jules. You are so creative! I think they look great. 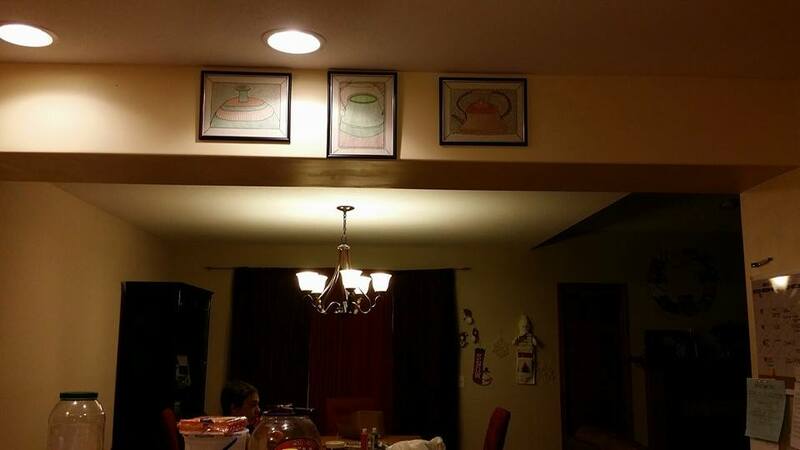 That’s a perfect place to hang them.